text message yesterday from contributor Pat Patterson made me happy! Hello – first, thanks so much to Pat for the text and second, I encourage everyone to look for our book in bookstores around the country and shoot me a text when you find. I love to think that people in New York City(and other areas) are reading about our part in the movement. What a lovely gift idea for celebrating Women’s History Month, too! 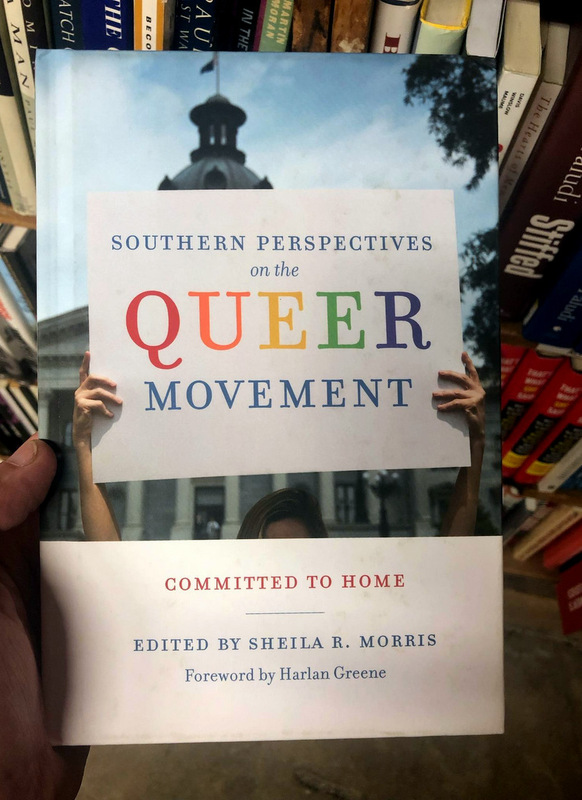 This entry was posted in Lesbian Literary, Life, Personal, politics, Reflections, Slice of Life, The Way Life Is and tagged contributor pat patterson, southern perspectives on the queer movement committed to home, strand bookstore in nyc. Bookmark the permalink. 4 Responses to text message yesterday from contributor Pat Patterson made me happy! I’m SO proud of you!! Man, I miss bookstores. I miss turning pages and the smells of a bookstore. If I win powerball, I’m buying a bookstore. And all the classics will be free and your books will be in the front window. I miss bookstores, too!! Pretty owned a feminist bookstore in the 1990s and I still miss that store. When you win powerball and buy your bookstore, Pretty can work for you!! Thank you, as always, for your thoughtful comments!! Good point, China. We just keep rolling.